Even according to its most ardent admirers, it was a movement that only lasted a few years in the 1980s. Yet, it has had a lasting influence on art cinema throughout Asia and beyond. If there is one filmmaker who best embodies the New Taiwanese Cinema (or New Wave) it would be Hou Hsiao-hsien. Fittingly, Hou factors prominently in Hsieh Chin-lin’s documentary, Flowers of Taipei: Taiwan New Cinema (trailer here), which screens as part of the Hou retrospective Also Like Life, now underway at UCLA’s Billy Wilder Theater. They were the product of a very specific place, at a very specific time. Taiwan was beginning its transition to a legitimate democracy, while its economy was emerging as one of Asia’s vaunted “Tigers.” Hou and Edward Yang were addressing the Taiwanese character in intimate terms, while also exploring the messier aspects of the nation’s history, including the Japanese occupation and the purges of the 1950s. Perhaps most importantly, they received unprecedented recognition on the international festival circuit. It is particularly telling to hear Chinese filmmakers like Jia Zhangke and dissident artist Ai Weiwei express their esteem for New Taiwanese Cinema and considerable regret an equivalent movement was not possible in Mainland cinema. Hsieh does not belabor the point, but one gets a real sense that Hou, Yang, and their colleagues helped exorcise many of Taiwan’s ghosts and thereby helped the nation progress into a modern democracy. We hear from many other appreciative filmmakers, including Apichatpong Weerasethakul, who credits the New Taiwanese Cinema for shaping his style. 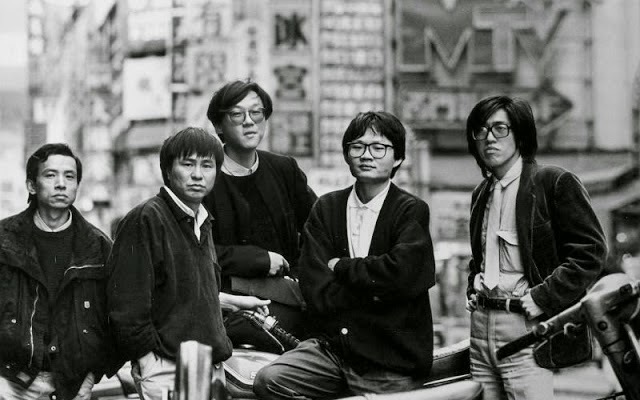 It is not hard to see the seeds of his inspiration, but it does not seem fair to lump the 1980s Taiwanese auteurs into the slow cinema rubric. Yang’s A Brighter Summer Day is a particular touchstone for Weerasethakul, but that film has no shortage of plot in its two hundred thirty-seven minutes. Unlike typical talking head documentaries, Hsieh is unusually sensitive to the power of place. It just adds something unquantifiable when Japanese actor Asano Tadanobu discusses making Hou’s Café Lumière in the Japanese bookstore where many of their scenes were shot. It is also a nice touch interviewing Hirokazu Kore-eda in the hotel room where Ozu and his co-writer Kogo Noda worked out so many of their great collaborations. Of course, Hsieh liberally illustrates Flowers with clips from the films under discussion. Many might be obvious choices, like the stunning opening shot of Shu Qi in Millennium Mambo (which some might consider a post-New film), but they still look great. 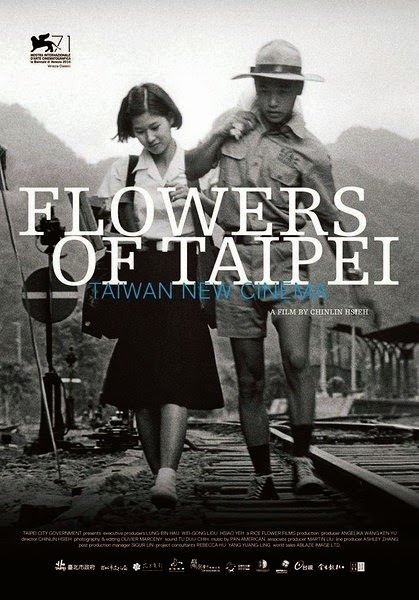 There is a fair degree of debate amongst Flowers’ expert commentators, but there is general agreement on the merits of Taiwanese New Cinema films, regardless of categorizations. It is rather fascinating to see how these acutely personal films fit within a larger social and cultural context. This is also an appropriate time to take stock of Taiwanese cinema, with the Hou retrospective now playing in Los Angeles and the Tsai Ming-liang career survey launching at MoMI this weekend, both of whom appear in Flowers. One of the best documentaries on non-genre-related cinema in recent years, Flowers of Taipei is very highly recommended when it screens this Sunday (4/12) in Los Angeles, as part of Also Like Life: the Films of Hou Hsiao-Hsien.